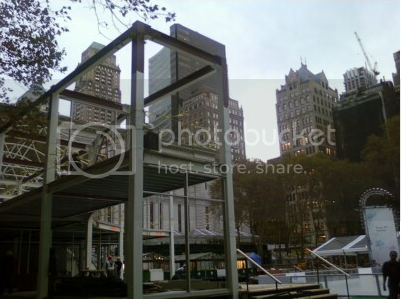 With temps dipping into the 40's today in NYC, we thought we'd check in with two sponsored events that went down or, in the case of the Bryant Park Pond is going up, around town. The USOC's "100 Days to Vancouver"
Events like this help to extend the Olympic platform for sponsors beyond a two week window to new audiences and venues. 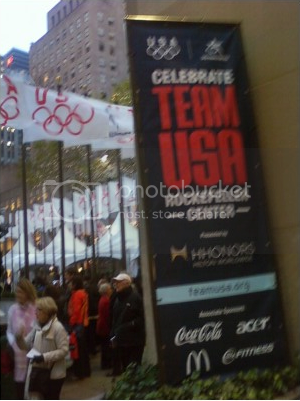 Participating at today's 100 day event at Rockefeller Center were USOC sponsors 24 Hour Fitness, Acer, McDonald's Coca-Cola and Hilton Honors, which had its logo at center ice. 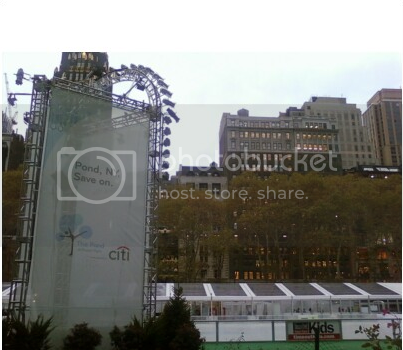 The Pond is coming to Bryant Park for the 5th straight year, starting on Friday. Developed by Upsilon Ventures, this is no ordinary pop-up event. This site consists of a full ice rink, bar and lounge, shops and christmas tree. This year's sponsors supporting sponsors include AM New York, Pernod Ricard, the New York Rangers, Southwest Airlines, Smucker's Stars on Ice and CBS 2. 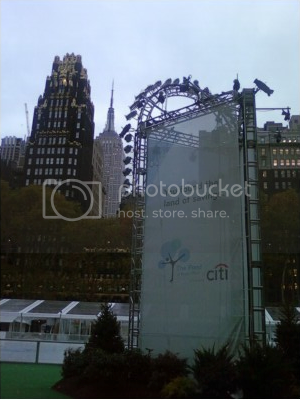 While we don't have the price tag to Citi, the production value would lead one to think it is a considerable investment. One would wonder about the public's perceived value of this event in comparison to Citi's sports sponsorships, which have taken considerable heat this year. We'll check back in with this when it's fully completed.